Before Martin Luther King and the Civil Rights Movement, there was a man named Jackie Robinson who broke through the “color barrier” in professional baseball. His story is beautifully portrayed in the movie, 42. It is so sad how intolerant and bigoted whites were towards blacks back then. They were so cruel, using their power, influence, and Darwinistic nonsense to bully non-whites into submission and falsely portray themselves as “superior”. Thankfully in America today, we don’t see this extreme intolerance and hatred towards others on the same level so many non-whites experienced in the past. But Scripture reminds us that all of us are sinners (that means me, and that means you) in need of a Savior(Romans 3:23). So, until the King returns, we should not be surprised to see 21st Century humans responding with intolerance and bigotry towards those who look and think differently. And just like intolerance toward non-whites was fueled by irrational and anti-intellectual groups wearing costumes (think “KKK”), expect the same from 21st Century groups that promote 20th Century, pre-Civil Rights intolerance. Who am I referring to? Well, it’s the same group I posted about yesterday, who, like the KKK, are planning to come in costume to the Texas Home School Coalition’s annual convention in the Woodlands. And what are they doing there? Well, believe it or not, their purpose is to display their intolerance towards Christians who have a different opinion about dinosaur history than they do! That’s right, they’re protesting DINO HISTORY. They are intolerant of folks like me and the fact that, by God’s grace, we trust the authority of His word over the authority of men in costumes. The atheists will be at the THSC convention this Saturday, Aug. 3. Atheist Aron Ra has encouraged them, in KKK bigotry fashion, to attend in costume ((Warning! Aron is quite the capitalist, fueling his anti-religious bigotry with “pop-up” advertisements that appear when you click on any links, plus ads to the side of the blog text). 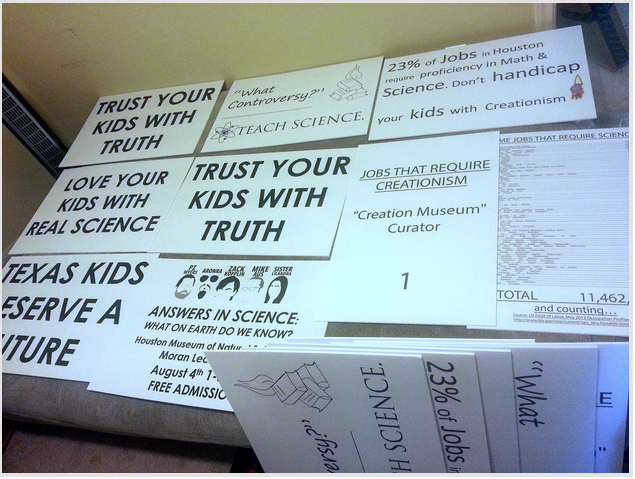 On Sunday, the same group is planning on having an anti-religion rally disguised as an “Answers in Science” meeting at the Houston Museum of Natural Science. I’ve asked HMNS to cancel the meeting, and let this group of intolerant bullies meet elsewhere. We don’t approve of bullies in the classroom, so why does HMNS approve of them in their lecture hall? The atheist gang is certainly entitled to express their opinion and display their intolerance of others for the world to see. I just think it’s wrong for HMNS to profit off of renting intolerant bullies a place to meet. Or how about this from “Answers in Science” speaker Aron Ra (who is not a scientist), whose blog is subtitled: “Science doesn’t know everything. Religion doesn’t know anything.” Should that be HMNS’ new motto, too? I certainly hope not! Pray for HMNS directors to make a wise decision about all this, and see the anti-religious bullies for what they are. Pray also for atheists like Aron Ra, who defy reason and scholarship by presenting a false battle between science and religion. In Advancement of Learning, Francis Bacon, founder of the scientific method, said that “a man cannot be too well studied in the book of God’s word or the book of God’s works.” He also said we should “Study first, the Scriptures, then nature,” and that we should be careful not to “unwisely mingle” the two together. Bacon’s foundation for connecting Scripture and nature was Matthew 22:29. It was obvious to Bacon, and it’s obvious to me and many other Christians, that there is an incredible unity and diversity between God’s word and His works, or “divinity and philosophy” as Bacon said, or “religion and science” as moderns say. Only a fool would say there’s a conflict between science and religion. Pray that, instead of pushing intolerance and bigotry, that God would change these atheists hearts. Otherwise, the more they bully, and the more groups like HMNS continue to profit from their intolerance, the closer we’ll get to separate fountains. This weekend (Aug. 3-4, 2013), atheists plan to display their bigotry and intolerance of Christians at two locations. Their first display of irrationality will be outside the Texas Home School Coaltion’s annual convention in The Woodlands. Then, on Sunday, they will take their show to the Houston Museum of Natural Science, who stands to profit off their bigotry and religious intolerance by renting them Moran Lecture Hall. In the photo, you can see some of the signs they plan to wave, which make irrational, untrue, and downright goofy claims. The photo is found on the blog of atheist Aron Ra (Warning! Aron is quite the capitalist, fueling his anti-Christian bigotry with “pop-up” advertisements that appear when you click on any links, plus ads to the side of the blog text). If you would like to hear Aron completely reject reason, click here and listen to a clip from an audio debate he had with Sye Ten Brugencate. Because God is a necessary precondition for rationiality, rejecting God equates with rejecting reason. Atheist Aron Ra makes this obvious in the audio clip, as apparently he uses magic instead of reason to define things. Of course, Aron and all atheists use reason to understand and evaluate anything, which exposes the fact that they know God exists. Atheist rejection of reason is obvious on their protest signs, too. For example, take a look at their foolish sign that ends with “don’t handicap your kids with creationism.” This is obviously false for many reasons, one of which is that the founder of the scientific method, Francis Bacon, was a young earth creationist! In his book New Atlantis, he described a “College of the Six Days Work”, dedicated to advancing science for the Glory of God and service of mankind. It is self-evident to the Christian that from the beginning, God commands Christians to “do science” (Genesis 1:26-28). He lets us know that He created us in His image, so we are obviously designed to be creative, too. A Christian education that emphasizes the creativity of God (rather than man) is more likely to produce a very creative individual, one who may go on to be a great mathematician, scientists, engineer, doctor, etc. And no, it’s not just 1 job that requires creationism, as another atheist protest sign reads, it’s ALL jobs that require someone who can think creatively! I am particularly disappointed that the Houston Museum of Natural Science (HMNS) does not seem to have a problem with making a profit off of such a religiously intolerant group. Not only are they attacking Christianity, they are attacking one man in particular, Ken Ham. 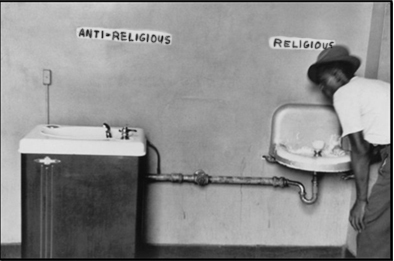 It is un-American to support such religious intolerance and false claims that Christians are “anti-science”. Christians are not anti-chemistry, anti-physics, anti-biology, etc! I am sure that we would all make a lot more headway in scientific things if atheists showed a lot more tolerance for historical interpretations that differ from theirs, and focus on advancing testable, repeatable science instead. If you are also disappointed that HMNS is profiting off of the anti-Christian “Answers in Science” meeting (you can see the sign announcing the meeting in the photo above), please consider contacting them to kindly but firmly express your displeasure. You can contact them at 713-639-4629, press “2”, and ask for Brad Levy. I asked Brad that if, for example, a group asked to have an “Answers in Science” meeting, and it turned out their meeting was to discuss “scientific” findings that Jewish people were inferior and Hitler was right about wanting to kill them all, would HMNS support that? Brad immediately answered “no”. Brad is Jewish, so it was obvious to him a meeting like that would be about religious intolerance coupled with unscientific claims. But it is also obvious that the atheists “Answers in Science” meeting is about the same things, religious intolerance coupled with irrational claims that Christians are “anti-science”! 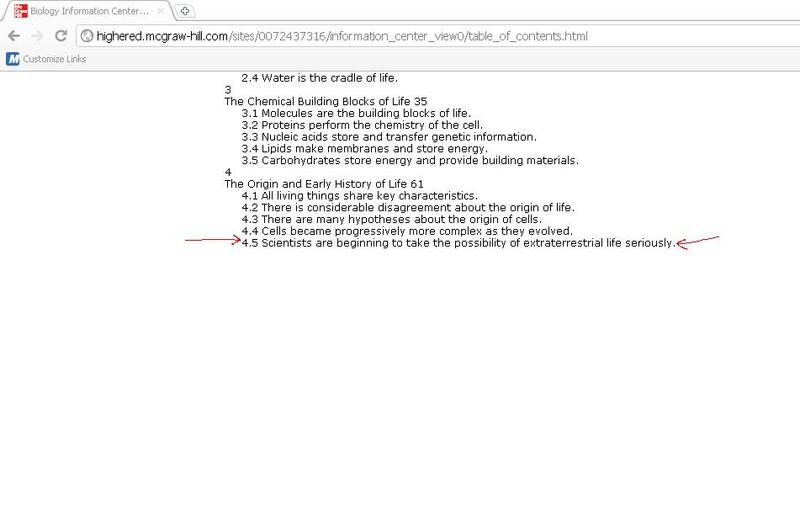 Unfortunately, Brad and others at HMNS are having a hard time understanding why they should instantly respond “no” to both my anti-semitic example AND to the real “Answers in Science” anti-religion meeting planned for Sunday. Please contact them and help them correctly reason through this. One reason Brad gave for not canceling the atheist’s room rental was that it is “too late in the game” to ask them to relocate. Well, no it’s not too late to ask the intolerant and bigoted group to have their meeting somewhere else! 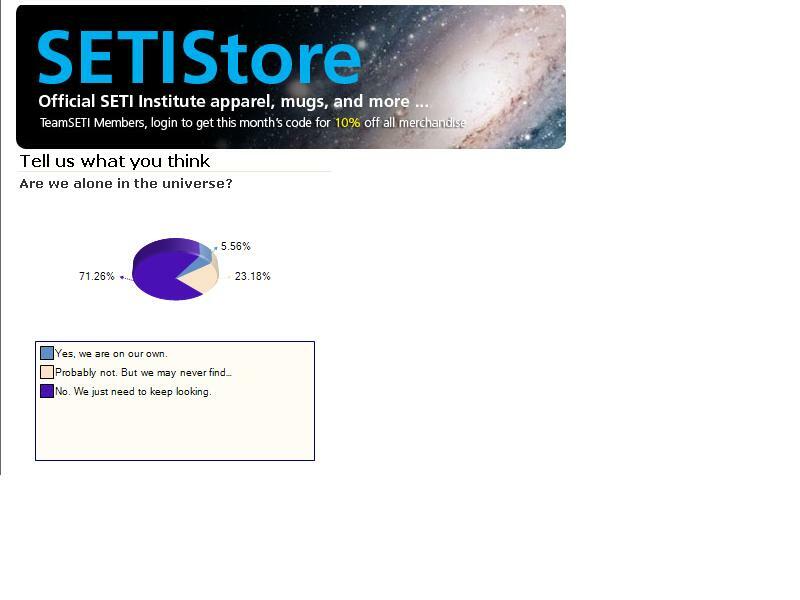 It is not too late for HMNS to NOT make a profit off of them. Please pass this on to anyone you know who loves science and opposes religious intolerance in America, and do what you can to encourage HMNS to cancel the “Answers in Science” rental of Moran Lecture Hall. Pray for the atheists, and remember too that while we were ALL yet sinners, Christ died for us (Romans 5:8). Pray that God would turn many atheist hearts to repentance this weekend, as He has already done for us who call Him Lord and Savior.